Today Archer’s Aim hosts Tim Hemlin who’s the current Rave Reviews Book Club “SPOTLIGHT” Author. This is Tim’s week to shine and I’m happy to host him today. Take it away, Tim! Old habits die hard. When I was young, word counts determined a day’s success. If I hit my 500, 750, or 1,000 words then life was sweet, if not I was cranky and unsociable. At the very least, having a daily goal forced me to sit at my desk and work. Over the years I discovered the downside proved to be sloppy writing simply because I wanted to hit my target. I needed to learn the art of revision. Naturally revision needs to be tempered with common sense. Paul Valery once professed that a poem is never finished, only abandoned. At some point it is time to move on. After all, what writer is ever completely satisfied with his work? However, I think the opposite tends to be more of an issue. A friend of mine who ran a literary journal once complained that so many poems she read were two or three drafts from fulfillment. 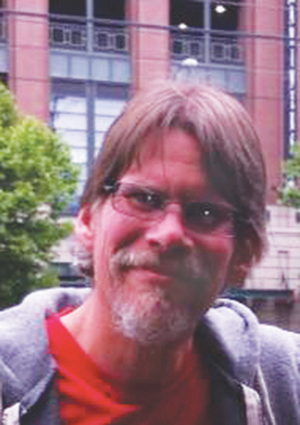 The novelist Tom Williams told a bunch of young and hungry writers back in the 1980s that often his student’s work was initially better than his. A pause, a smile, a puff on his pipe—yes, professors smoked in class in those days—and then he added but none of them worked as hard as he did to improve it. Now I see that was why he was published and reviewed in the New York Times and few of his students ever joined him. Editing and revising are, for me, the heavy lifting in writing. Yet it can make all the difference. 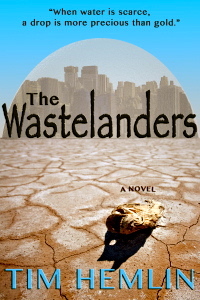 Tim Hemlin is a marathoner, teacher, and has his master’s degree in counseling, but his passion for the environment sparked him to write The Wastelanders, a dystopian-clifi published in both e-book and paperback by Reputation Books. 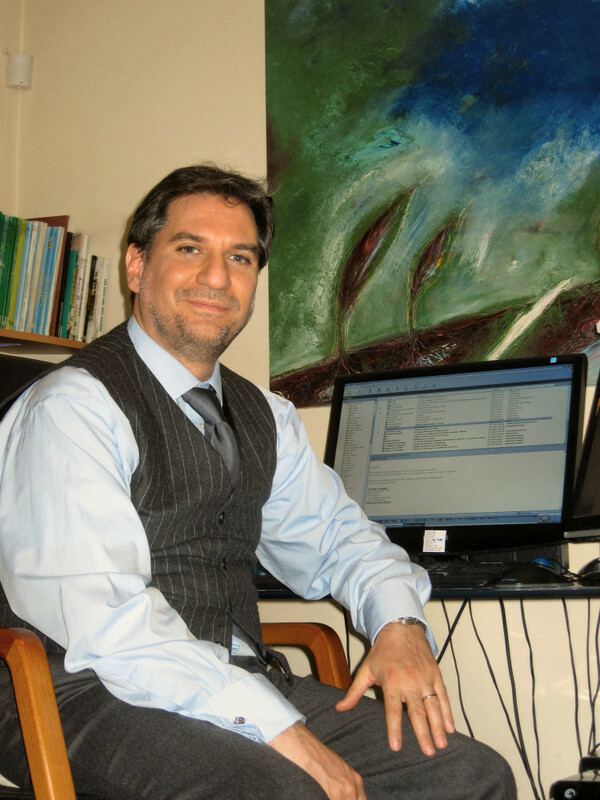 He is represented by Kimberley Cameron of Kimberley Cameron & Associates Literary Agency. He has also published a Wastelanders short story called Black Silence as a bridge between the first book and its sequel. He is currently in the notes and brainstorming stage for the Wastelanders sequel. Recently the Muse has kindly allowed him to tap into that creative magic and pen a young adult urban fantasy. If all goes well with the edits and revision, the final draft should be completed by early summer. Finally, in the late 90s Ballantine published the Neil Marshall series of culinary mysteries set in Houston, Texas. These include If Wishes Were Horses, A Whisper of Rage (nominated for a Shamus Award), People in Glass Houses, A Catered Christmas (the one I most enjoyed writing), and Dead Man’s Broth. He has recently gotten the reversion rights and is planning on reissuing them under an elite publishing house out of New Orleans. Thanks to Tim for appearing today on Archer’s Aim as the Rave Reviews Book Club “SPOTLIGHT” Author. If you would like to know more about Rave Reviews Book Club where Tim and I are fellow member, just click the link to visit the website. This is one of the incredible ways the club promotes its members. If you do decide to join, please let them know I sent you! You Blog With What: This post opens the door on a different way to use Scrivener that new users may not have thought of. Starting An Author Platform Pt. 8: Site Improvements: Changes are inevitable and necessary when building your author presence. This post details upcoming changes to my own website. Fantasy Authors Unplugged Featuring Nicholas Rossis: A great interview with a 2015 International Book Awards Finalist. How You Can Join the Mother of All Blog Tours – slots for this tour are going quickly so send your email ASAP! 4 Reasons Why I Journal – I use my journal in different ways, here are just a few. 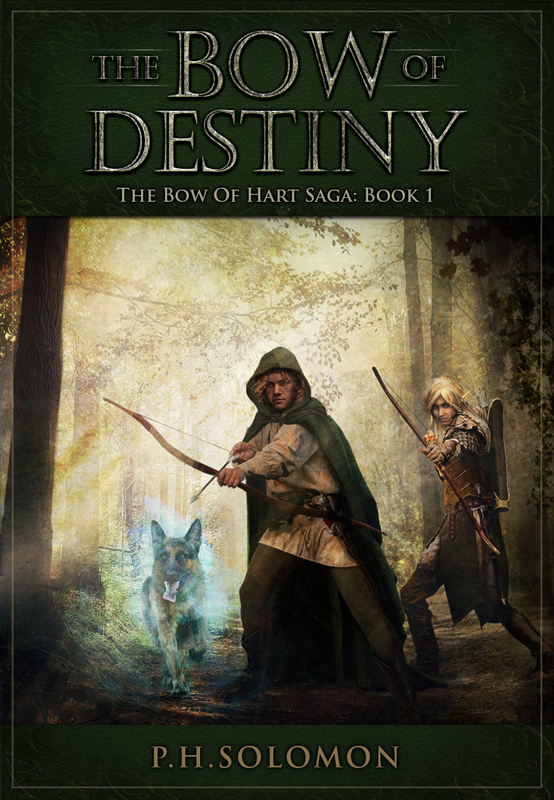 Tomorrow I’m hosting a Rave Reviews Book Club SPOTLIGHT Blog Tour for fellow member Tim Hemlin. Check the link for a list of all the blog stops this week. Lightspeed’s Artist Showcase – it’s not fiction but is about some of the artwork in the current issue that influences the stories so take a look around after reading about the artist. As a reminder I have a few changes to the site starting on June 1st so check back on those. I’ll have a new freebie available for download. Next week also kicks off with a new Scrivener post that covers a feature you may never have noticed. I’ll also have a new featured author for Fantasy Authors Unplugged as well as other new posts. Thanks for reading and commenting this week so far. I never considered writing a daily journal until a few years ago. At the time I wanted to see how much I could write per day on a consistent basis. After a month I was surprised by how many words I could churn out. It gave me a baseline for how much I could expect to write daily, weekly and monthly. I even realized I could write most of a rough draft in thirty days – here I come NanoWriMo. But as I used a daily journal I discovered a few more reasons to continue. I’ve since read Julia Cameron’s book The Artist’s Way and found that she emphasizes using “Daily Pages” (essentially a journal) to write three pages in the morning. I don’t always write that much since I’d rather spend as much time as possible on projects but the notion and reasons discussed in the book are great for gaining creative traction. 1. I could use it to prime the pump. You want to get started writing but how? Sometimes you need a warm-up and writing about anything can be just the trick to clear the mind. Also, I found that I could set the scene in my mind with a few notes on what I expected to accomplish and how dialogue might flow. I might even return to the journal to further nail down additional scenes depending on what I accomplish. 2. I can track what I need to do during the day. Yesterday I wrote about how I work with goals but I find that putting them in my journal keeps them in my sites throughout the day. I use the Strikethrough button in Word to mark off goals achieved. I can also easily “re-heat” goals that roll over to the next day for whatever reason. 3. I also use a journal to create a loose, fluid schedule of what I’m doing – everything. This way I know how I’m progressing through goals and other activities throughout the day. Now you might wish to use a calendar for this function but I find using the journal is one less thing to update than a calendar. Besides, I find a calendar is better for reminders about events and appointments in advance. 4. 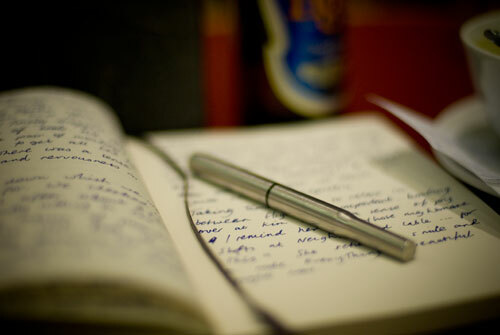 A journal can also be used for project development. It’s a great place to explore creative ideas. Once you’ve written these concepts they are easily transferred into other apps or files you use for development such as Scrivener, Evernote, your blog or anything else. What can you use to journal? I mainly use Word and update it during the day but I only keep a monthly file and transfer developmental ideas to other files and apps. You could use Evernote as a purely developmental journal and tack in links or pictures. You could also use Instagram as a visual journal. While Scrivener would not directly serve this purpose, research containers could be used as a developmental journal as well. Do you journal? If so, what do you use? I love to receive comments so feel free to leave one. Also, please follow this blog by email using the form on this page. 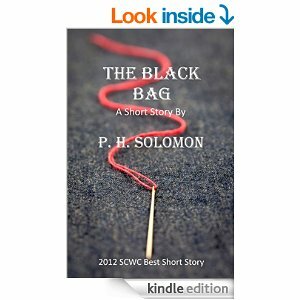 I’m on Twitter @ph_solomon or click the Facebook icon on the sidebar to like my page there.